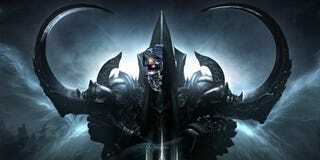 With the advent of incredibly powerful thinking machines it should be a much more simple issue than in previous ages to harness an advanced AI to finally find the best gear to wear in Diablo 3. We will call it the Best in Slot AI, or BIS-AI for short. Diablo 3 is a game about defeating monsters and collecting loot, or items, and then using itemization to construct your character to get more loot. It’s fun because of that circular structure-you get a new weapon you want to try it out; continue until bored. There’s a pick-up-and-play element to the game that makes it so sticky: I don’t need to wait until Tuesday to get more gear I simply hop on whenever I want and have just as much of an opportunity to get items. Basically it’s a game that will randomly swallow whole weekends if you enjoy the simple pleasure of blowing up skeletons because skeletons are evil. It is with that idea in mind that we will begin our thought experiment of creating an AI to find the best in slot items, the best gear or build. This should be fairly simple. While there might be a profound number of randomly generated versions of items some will be demonstrably better. AI functions similarly to philosophical proofs as well, so that should make it easier. Simply programming in a script based on what’s best will spew out what the best gear possible is. Heck we might even even learn something from this process. So it goes. Damnit it’s going to be one of those pieces isn’t it? Well we need to start by defining our terms to understand what our situation is. Traditionally there exists a holy trinity, a set of roles that end up in all combat. Tanking-the guy that draws the fire; must be tough enough to survive this but also strong enough to keep the attention. Healer-the guy who keeps the tank alive by restoring life-sustaining HPs. And everyone’s favorite DPS-an abbreviation of Damage Per Second the DPS units will be doing the bulk of the damage to an enemy while the tank draws the action and healer sustains this process. All choices in the game might be said to stem from actions relating to those roles. While often you might not actually have a healer in your Diablo party everyone is making decisions about itemization relating to the need to stay alive. Similarly while a person might not think of themselves as playing just DPS or just tank they definitely are making decisions about their character relating to their relative connection to those roles. So without the roles how do we decide what’s best? The idea of these roles are ingrained in the culture. The belief that these structures define the play are so firmly in place the game actually gives you a stat cheat sheet relating to your toughness, damage, and healing. When a person is making the first judgment about a piece of gear this is the structure we look at it with. Obviously this means that we just need to find the set of gear with the highest possible values of all of these numbers, right? At one point in time that really was how decisions were made for Diablo 3 from the player standpoint. It was a worse game for it. Getting the strongest gear is a power fantasy on some level, but in reality there was a blandness to this. The relative lack of choice lead to relative lack of outcome. Whether we base our idea for what gear is best on what it brings to the player via stats or play options we didn’t see the game succeed on either front. There was a maliase in the loot system where the only reason players would try to get more loot was a sense of duty to get more loot though arguably little of the play experience would change. Honestly most people would perform repetitive and boring actions to try to get gear. The numbers didn’t translate to fun, and the choices players made about what gear to keep were not fun choices. Also there were huge problems with itemization in general, but let’s not worry about those problems so much as the changes rolled out in future patches regarding gear. The gear, and thus the decisions players made, would become more fun and more modular. The big outgrowth of this idea was wearing “sets” of items that together could cause an effect. Basically they added a sense of weight to gear by trading several positive effects of, say, a helmet and wrist guard and ring, for several different effects that might be stronger. It lead to having item drops to look out for that weren’t just based on a quick summary of where it sat on a holy trinity index. But this creates a new series of problems for our machine. If we can’t just look for the largest values on any piece of gear we need to look at these values based on connecting these modular choice trees. If a person wants to use set A, then set B is best?! So now our machine has to be programmed first to weigh everything versus these possible combinations of gear and that gear’s addition to the global effect when applied with various other types of gear. We’re no longer just picking a single best piece of gear for a slot, we’re now judging the entirety of a set of gear. Now the possible options for best answers look like massive clumps with some decision trees ending in a more DPS focused cul de sac while others end in the toughness territory. Though players were having more fun complexity had ramped up considerably. All of the sudden we’re making entirely different choices about what we want to use. Goals of players start to matter, play style starts to matter, predictability of drops and how their stats can land, complexity might be getting out of hand at this point. But like a benevolent creator god the developers are going to drop down something to show us the way: a patch. This is a subject that might seem increadibly complicated to some people but not to philosophers. Truth is knowledge. Knowledge is a justified belief. The way we find this knowledge comes from justified argument-basically a statement we deem true. This is where we get all those philosophical statements like “all bachelors are unmarried” or “the road is wet so it must have rained.” Different types of arguments are made and based on how they’re made we judge them to be true. Also truth ends up being analytic or synthetic based on whether it’s justified by it’s own rules. Like the statement that all bachelors are unmarried analytic truth is self evident based on it’s definition, just by itself. Synthetic truth is based on experienced reality. So now we have two truths. Damnit. We haven’t even brought up Nihilism and already reality is crashing down around us. The truthy part of philosophy is crouched in reasoning and proof. It looks the most like what a script for a computer program would look like. Obviously we’ll find the answers here. And hopefully we find ourselves with an AI that finds us the best gear in Diablo 3 but doesn’t somehow rise up against us and conquer humanity with this ability. Games create communities. It doesn’t take long bouncing around different forums on gamefaqs to see that different communities of gamers create entirely different communities. And you can tell when someone’s been in a certain community recently. (words like waifu, no scope, praise the sun, error 37) When we want to find the best gear for classes in Diablo 3 we end up needing to get a sense of this community. With the complexity beginning to skyrocket for best gear there has to be something the fans can tell us. The Diablo 3 fanbase has been pretty welcoming of the changes the game received post-launch and related to the expansion. The move from basic strongest gear to thinking in sets went down well since it allowed for a lot of interesting ways to play and items to look for. The adition of an end-game in the form of rifts and bounties was also welcomed since now people didn’t have to keep breaking pots to get gear. The developers made the best way to get gear the most fun way to play the game, strengthening that central loot mechanic of the game, and leaving most fans much happier with what Diablo 3 offered. Finally they added greater rifts, rising in difficulty (like greater rift 50 being tougher than greater rift 40) which gave players and developers a way to judge how powerful gear sets were. I mean they’re definitely fun in and of themselves, but with the addition of greater rifts it seems like the patches now more adequately address balancing, attempting to give every class ways to advance through tougher levels of greater rifts. Also it began to give players a clarity again: this build tops out at greater rift 30 while another build carries you to greater rift 35. We’re back to having a simple better/worse way to come up with what the best set of gear is. Hell, because of how Blizzard’s battle.net works we can look at what gear the people wore that got the farthest in the greater rifts. Now we have a very simple way to look at what the best gear is: find who in a particular class has got the farthest and try to figure how that set of gear could be stronger. Maybe it’s hoping for a better collection of rolls for the random properties, or maybe we look at the entirety of top players for a class and examine all their gear. Hell we can look at every players gear and graph out what gear gets players the farthest in a greater rift. Creating a graph out of player history and power and gear we might find hidden patterns in the randomness of the game, an elemental damage type that’s slightly stronger, or an elemental immunity that’s more useful, maybe builds with more simple applications are easier to play and get people into deeper rifts leaving only the tedium to contend with. Essentially we can datamine this set of knowledge, or have this robot of ours do it, and develop a theory about what is the most powerful set or sets of gear and then tinker with the tiniest parts of those sets to eventually find the absolute most powerful set of gear for a class: the build that provides the maximum amount of all the best possible options to create a build that maximizes our...we Diablo 3 time. There has to be a better way to put that. We will maximize the positive outcomes of our gear, it’s utility, to have the most possible fun playing against the toughest enemies and getting the best gear. I mean gear could be considered tools so maybe this utilitarian focus is worth examining. Reality might be unknowable at the most basic level but utility is much more easily examined via datasets than truth. I mean a dataset is just a lot of little truths, right? The sun shines through the window at a tired theorycrafter. Up all night (due to not having an advanced AI probably) to really figure out the best build for a Monk in Diablo 3 they have found their answer. Waving the sheet of paper in the air they settle down and recheck their numbers one last time. The world is a richer place. Blazing around the web this build gets shared around a variety of sites Diablo 3 fans would find themselves. The community loves it. The data checks out. We did it. I mean they did it. We are in the world of the meta. Eventually those who really know their stuff, the mavens who examine everything examinable, break down what really matters about a game: what stat is actually over powered or just essential. They break down layers of choices and experimenting for many players and advance the meta of the game, a sort of evolving discipline every game might develop if enough deep thinkers fall for it. The new patch arrives and there is a push for new builds. The meta moves, as it always does, towards a new set of builds for every class. Balance is the name of the game, strong classes often don’t find any really great new gear but more new options. But when your class is the one getting the strong new gear it’s almost as if the build is pre-built. But our experience with these builds is based on our experiences using them. The problem here is that a player reads of a good build, grabs all the gear to get that build working, then doesn’t really have any experience of anything else. Now the variables are back to something easy to analyze - this weapon does more or less damage than that one, this helmet has the cooldown that I need. For people following a build the choices are back to much more granular ones. Choice moves away from experience now and more towards getting a set of numbers or gear termed an “upgrade”. The problem with trying to create the best build is that every build has within it, inherently, presuppositions about the game. How you want to play, what you want to play, why you want to play: inside every buld we will find a set of design choices reflecting player psychology. The meta is an evolving understanding of the game that can lead to different ways of looking at the same information, but it also leads to Giantdads. Basically the meta can create a sense of conventional wisdom that’s troubling in the community as well when one type or build or gun becomes the de facto choice. In philosophy this might be related to the issue of epistemology. Knowledge, or how/what we define as knowledge, will create values that we judge a build by: I have some gear that boosts cold maybe that means i should work towards a gear that involves cold, I play solo so I need to make my attacks affect as large an area as possible, or maybe the good old “how can I get a ghost cow in my repetoire?” would all be values relating to our game. We might think we’re all playing the same game but that’s just not the case. Even with all the same parameters programed into our copies of Diablo 3 we’re essentially playing slightly different games as we bring our own thought processes to the game. So we find ourselves naturally at a sense of skepticism since we can’t really name some particular build “best” since we all need different things. Yet, we are still looking at this problem with words left over from that issue. If best was something that simply had least “bad” and most “good” then how do we continue looking at builds with the language of “good/bad”? Our problem is now succumbing to logocentrism. It’s literally trapped in our language as we find all our words are pushing us towards certain conclusions. We can argue all day whether logocentrism is a real issue but right now in my thought experiment we’re going to say it’s an issue that’s affecting our BIS-AI. The problem being solved will now change in an attempt to find the solution on a subjective level. And because of our constraints in looking for that answer we now have a myopic field of possible best gear relating to a massive/infinite demands. When everyone has best gear nobody has best gear. However, the culture of players is constantly, or at least sporadicaly, influenced by new patches bringing new gear and new balancing. These variables add to an already shifting game world’s challenge in every possible way to play the game. When a new sword drops it somehow affects everyone’s game, even if they’re all playing different games. The guy who plays just to see weird stuff happen might get the sword and start playing with it, the power gamer might find a way to exploit the sword for more power, the different players are all confronted with a new choice. The world might hold many different truths, but all gear in the game adds to that set. There’s a consequentialist statement to be made about how though we all value different things gear affects the final experience of everyone. We could now start questioning whether the best gear leads to the most players finding happiness in the game, or whether it should be gear that gets people farthest in greater rifts. Truly appreciating all the options on how to determine “best” diffuses it’s meaning. However really we need to land in a different point with our BIS-AI system. This best gear, finding gear we’re totally happy with, it breaks that essential cycle of the game. The game is built on a system where we jump back in to the game fuelled by a chance to look for new gear. Whether you want a stronger set of gear or a set of gear that suits some other goal of yours, changing our gear, always having something new to look for or try out, is what makes the game. It’s not that there isn’t really a best selection of gear, but like Icarus it’s problematic. Patches will continue to change the options, the choices that influence the meta will evolve, and eventually the next expansion will drop and everyone will have to find gear at the new level cap. As much as I would love having the BIS-AI find the best gear for everyone I think I think the utopian vision contained within is damaging to the game itself. Also the AI would totally become sentient and take over earth. I mean it’s an AI about finding the strongest weapons that would clearly lead to Ultron.